I’m a big fan of data visualization tools. Most of the time clients don’t want to look at ugly spreadsheets nor do they want to see big data pukes. Information must be obvious and instantly actionable. Another advantage of data visualization tools, although admittedly you don’t have the flexibility to merge in different kinds of data like you would when you create charts in Excel, is that data visualization tool views are push button quick. Today, I’d like to share a couple of my favorites, some advantages and disadvantages, as well as some of the ways I use them. SEMRush Trends Chart– I decided to start with this one because this is one of my favorite tools to see at a glance value of and power of a site. If you have a SEM Rush account, this little gem is kind of hidden on the main screen. The only way to reach it is to click on a tiny text link in the left sidebar that reads ‘<yoursite.com (more)>’, which rests on top of the little graph in SEMRush main screen. The really cool thing about this tool is that you can add in 5 competitors and select metrics in a little drop down – you can view yourself and competitors on metrics like number of keywords you and they rank for, SE Traffic Price (great metric that gives you an estimation of how much your keyword rankings would be worth if you where paying for them in Google Adwords), as well as a bunch of adwords related metrics. How I Use It: What I look for in this graph is what has happened over time. Is there a sudden drop in the number of keywords in organic rankings or a sudden increase? The disadvantage of this tool is that it gives you no clickable data beyond you have the chart, you cannot drill down. You’re not able to see the actual historical keywords a site used to ranked for. I don’t lose too much sleep over this because this is a great at a glance tool where I can throw in 5 competitors and see super quickly along several metrics how they stack up against each over time in organic and in Adwords. After this, I usually move to our proprietary, super competitive tool and I can really roll up my sleeves but this tool is awesome for seeing a nice thumbnail when just starting a competitive analysis. Spyfu Kombat – Spyfu Kombat is, on the face of it, similar to SEMRush Trends but also very different because you do get to dig into phrases that you and you competitors rank for; in fact, Kombat does some crazy parsing, so you can see what just one or both of your competitors rank for but you don’t as well as phrases all sites inputted rank for. You can then click on any of the parts of the bubble in the in the graph and you can see the parsed keyword data for that competitor, instead of having to do any wheeling and dealing to do this parsing in Excel. I love easy. Spyfu will also give you a chart with competitive data. The big difference between this chart and SEMRush Trends is that SEMRush trends gives you everything a site ranks for in the top 20 and SpyFu gives you a chart for everything that ranks in the top 50. Also, SEMRush trends gives you more metrics to look using the historical chart than SpyFu does. How I Use It: I grab the data from the keywords that all the sites rank for and this is a super quick way to get an idea of how long the long tail is in a space. I also use this as just one way to identify keywords that competitors use but a client site may not. SEOMoz Opensite Explorer TLD Distribution – I really like this tool for detecting the volume of not so great backlinks that a given site may have. The disadvantage of this tool is that it does not give you competitive data, unless you manually run sites though nor does it give historical data, unless you run it twice and store it locally. Nevertheless, it is one of those good quick tools, when you want to get a thumbnail view of overall site trust. How I Use It – I know I mentioned the obvious way to use this tool is as a quick way to get an idea of the the trust of a site but I did not mention that this tools is also great for when you’re doing international SEO, you can explore how many backlinks that a site has have actually come from the country TLD that the website targets. This is good to know since, links from the country related TLD and .coms, .net’s, and .org’s tend to weigh more, and this tools helps you sort through that. Wordle Cloud – I love creating tag clouds of pretty much anything. I usually use a free tool called wordle to create them. Wordle gives you a great big text box that you can fill with any type of list item. You then hit submit and magic, you have a tag cloud with tons of formatting options, so you don’t kill the look of whatever document you’d be pasting this information into. How I Use It: I can write a whole post about information you can throw into wordle and see what appears more then something else. One of the ways that I like to use this tool that is my favorite is to view anchor text distributions. There are a bunch of ways that you can grab anchor text data, what ever you do, the trick is to grab as much of it as possible. Also, make sure that you’re very sensitive to if you’re grabbing page level or domain level anchor text data. I prefer page level but that’s your call. Just like averages can hide information, so can data visualizing tools. All of these tools are just a couple weapons in our arsenal – I’m picturing a ninja way with a million different awesome ninja weapons of SEO. These tools are great for providing general insights into which you can drill down into, if something looks shiny in them. These tools by no means provide a complete solution. I tend to use these tools more as initial exploratory tools rather then the answer to life, the universe, and everything. At the heart of the matter is that you absolutely must look at the same data in different ways because it will tell you different things. Especially with SEO, there is no out of the box tool suite solution that answers every SEO question that you’ve ever had about life. There are lots of tools, some paid and some freebies that give you little snippets at the whole picture and data visualization tools are little piece of that puzzle. The great thing about these tools is they give you a nice mile high view of things. Especially if you are monitoring many accounts, digging into the details of every account to determine its health and growth can be draining. I haven’t used SpyFu combat but it looks like it would be handy. I’ll definitely check it out. 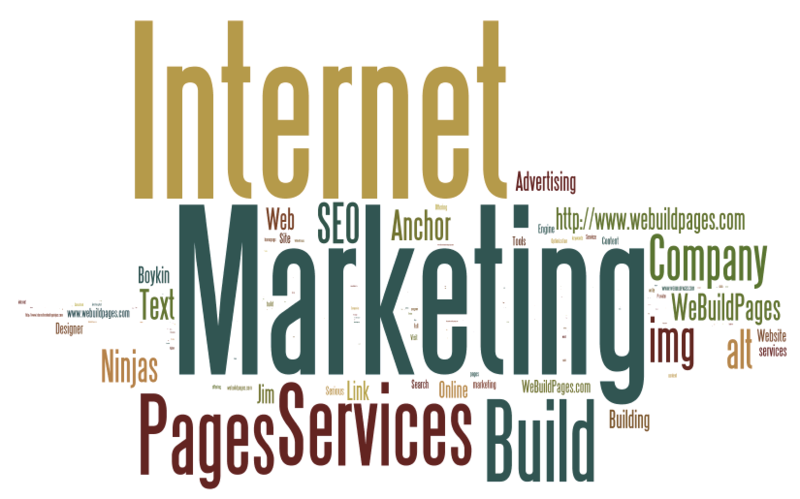 All the tools are very nice and helps us in performing SEO activities. The only thing is to carry sufficient information on how to use SEO tools in perfect manner.